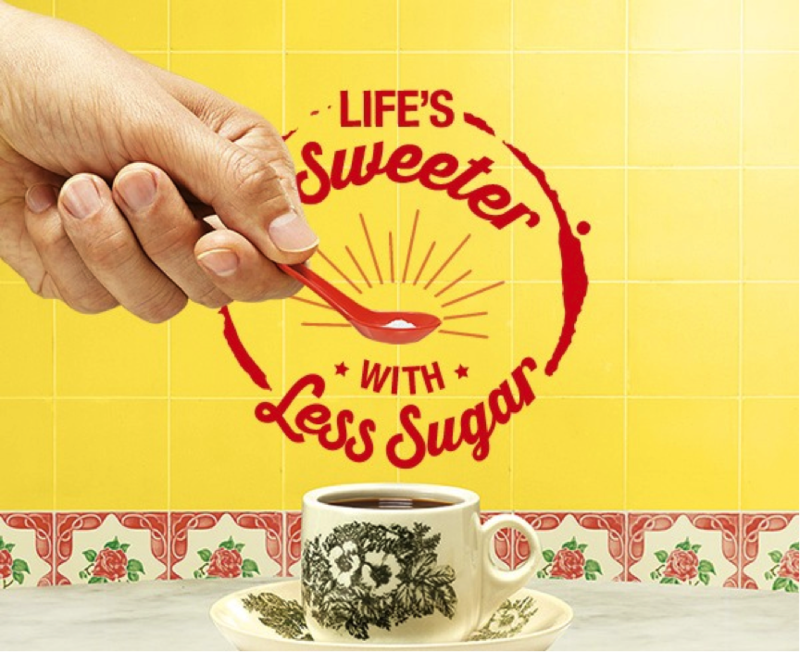 I am so happy that our Health Promotion Board has finally kicked off the “Life’s sweeter with less sugar” campaign that encourages people to consume less sugar beverages in one of the most popular places to eat out at – the ubiquitous coffeeshop! 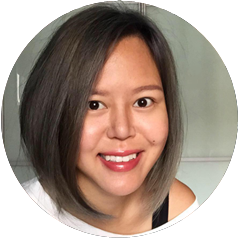 In case you don’t know, sugar is one of the biggest and most insidious culprits in today’s modern Singaporean diet. 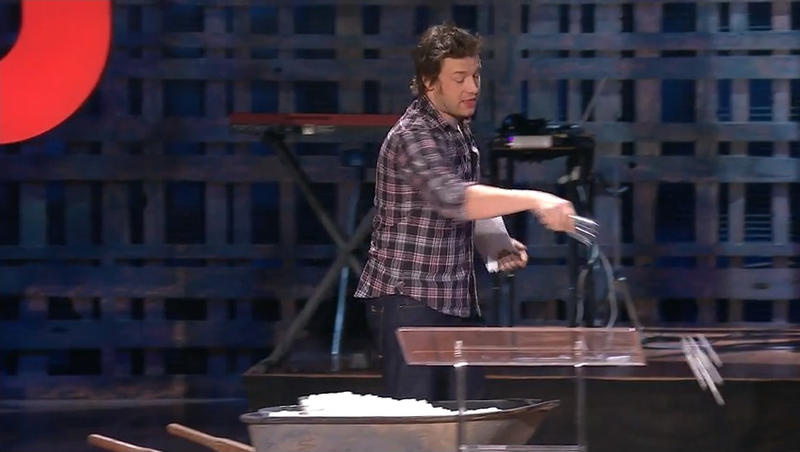 In Jamie Oliver’s 2010 TED talk, he wheeled out a wheelbarrow of sugar to describe a primary school kid’s year of sugar intake (21th minute onwards). That is A LOT, and a powerful visualization of just how much of that white stuff we consume. In case you didn’t know, sugar is also more addictive than cocaine among rats, and can affect your memory. 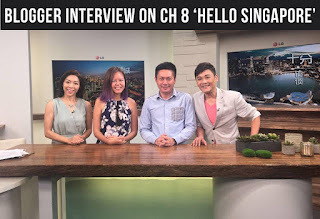 But the problem in Singapore is that most people do not realize how much sugar they are consuming! For example. 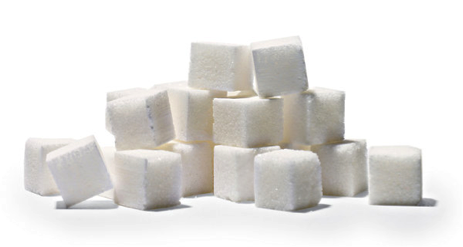 A can of soft drink can easily have 9 of these sugar cubes, or 7 teaspoons of sugar. The WHO guideline for an adult’s daily sugar intake would have been zero if they could get away with it, I’m sure, but instead it is at a limit of up to 6 teaspoons, or 24 grams per day. Instead of cutting sugar out completely from your diet though (we already established that it’s addictive right? ), a good way to lead a healthier lifestyle is to start to cut down on the sugar intake gradually. 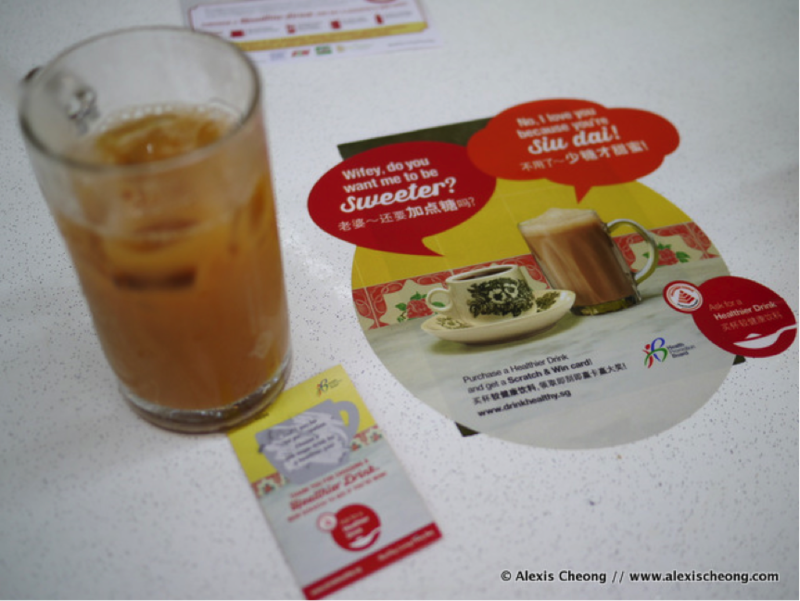 And this is where the Health Promotion Board’s Life's Sweeter with Less Sugar campaign comes into play to encourage people to choose unsweetened or less sugary (‘siu dai’ or ‘kosong’) drinks by rewarding them! 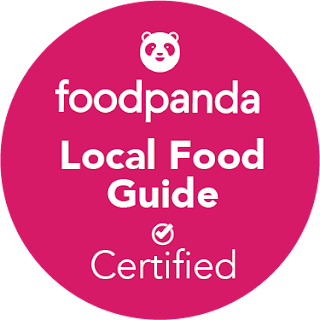 For every purchase of a qualifying drink from any participating coffeeshop, cafes, food kiosk, canteens (it’s almost island-wide! ), get a scratch and win card and stand to win shopping vouchers of up to $300 or discounts off your next drink. 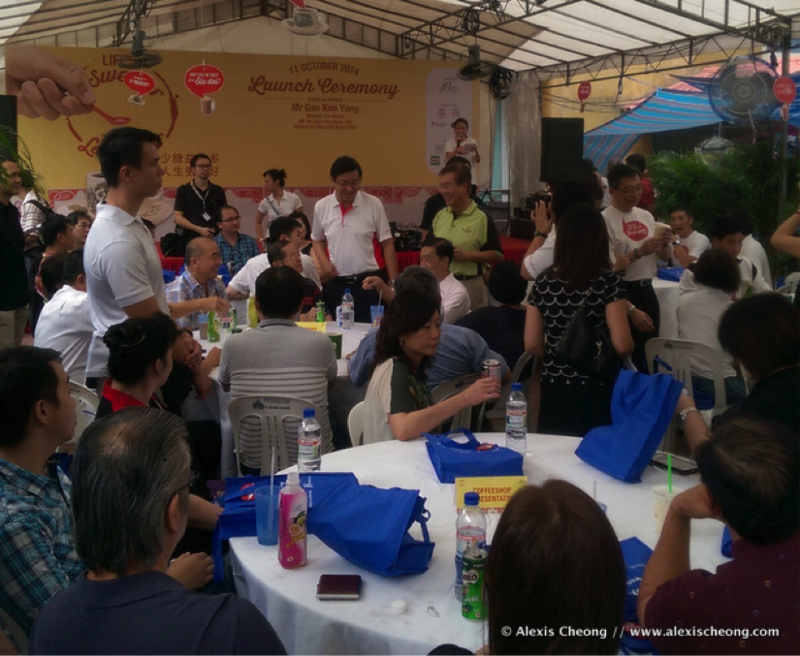 I attended the launch of the campaign over the weekend at a coffeeshop where Minister Mr. Gan Kim Yong and CEO of HPB Mr. Zee as well as other guests gave a big healthy toast to all attendees. 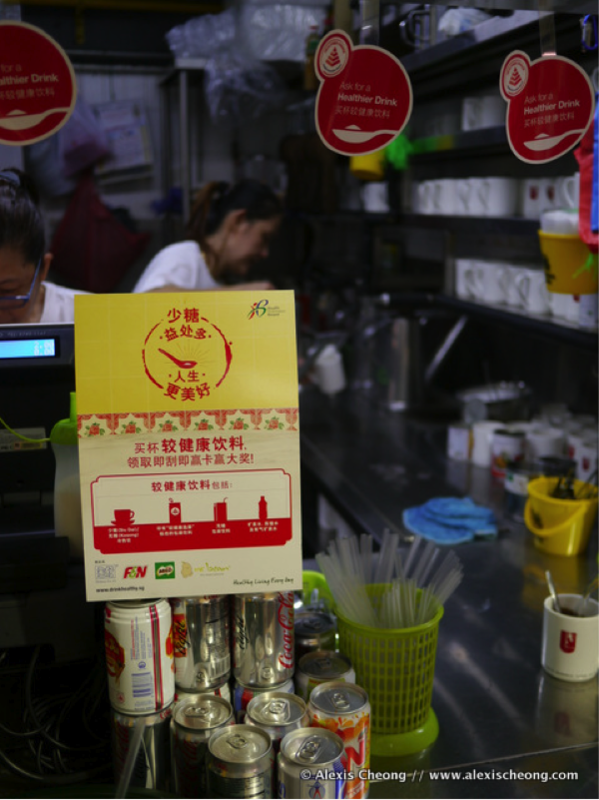 I also ordered a low-sugar drink at the drinks stall, where if you see these signs below would mean they are participating in this programme. 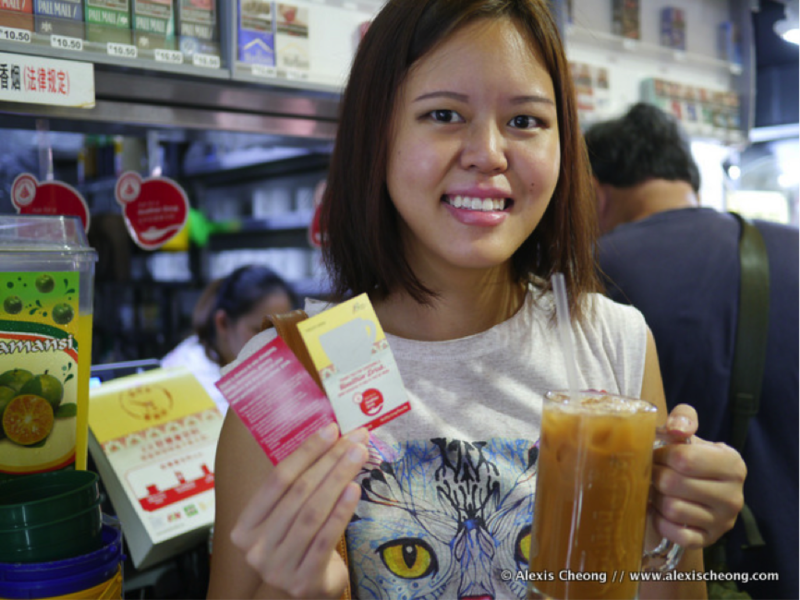 I got myself a scratch card together with my “teh peng siu dai” (hot morning, need ice). Here it is! Unfortunately I did not win this time round, so I’ll try again next time. The promotion runs until February 2015, so plenty of chances to win. But from 17 October till 13 November, HPB is also running a “Life is Sweet” selfie contest on their Facebook Page. Simply submit a selfie with your healthier drink on this Facebook Post, comment on why you prefer that and tag at least 3 friends. You may just win an iPad Air. 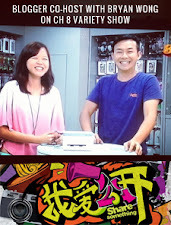 What’s more, there is a bonus prize of $150 worth of vouchers for the most number of friends tagged! Good luck, and remember - it’s best to be sweet in person than to drink sweet drinks!